Overcome the cold, wet weather in style and comfort with the SKECHERS Woodland boot. 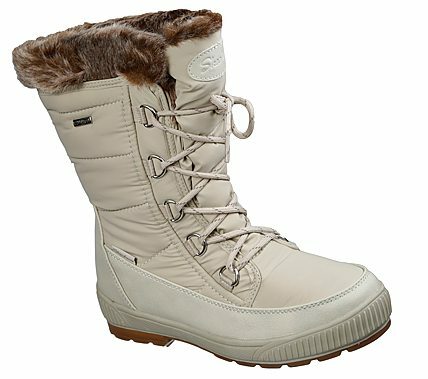 Smooth water resistant leather-textured synthetic and water resistant parka nylon fabric upper in a lace up mid calf height casual cold weather boot with faux fur collar trim. Warm Tech Memory Foam insole.